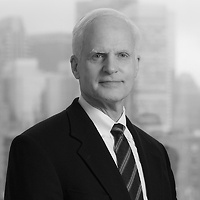 David C. Henderson, a partner in Nutter’s Litigation Department and member of the firm’s Labor, Employment and Benefits practice group, published an article in Massachusetts Lawyers Weekly that examined the recent U.S. District Court case, U.S. ex rel. Herman v. Coloplast Corp. The article, “For Employer, Paid Admin Leave Not Always a Safe Harbor,” explains that, contrary to the suggestion in other case law, placing an employee on paid administrative leave during an investigation might constitute a materially adverse employment action sufficient to prove an unlawful retaliation claim against the employer.